IRISH and CHIN-After thousands of votes were casted by viewers for over a month, the Etana/RETV music video competition came to a remarkable close recently. 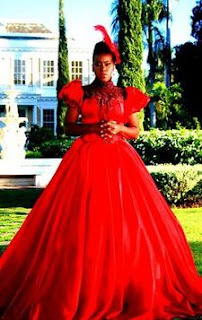 The competition, which featured Etana's three new videos "August Town," "Free" and "Happy Heart," was the first of it's kind. And from the overwhelming response, the competition went over with a bang. Impressively, votes from through out the Caribbean inundated RETV. Votes are still being tallied, with no winner determined yet and excitement is building up for the live finale on February 27 at 5:00 PM, which will feature Etana announcing the winning video and calling the competition's winners. Etana's fans are on the edges of their seats as they wait to find out if they will be winners of any of the competition's coveted prizes. Several times a day, after viewing the three videos, fans were prompted to text in and vote for their favorite video. Their texts/votes were then entered into the respective video's pot. A lucky winner will be selected from each video pot. The voter selected from the third favorite video pot will receive an Ipod loaded with Etana's music. Meanwhile, the voter selected from the second video pot will receive a chic Blackberry Curve. And finally, the voter selected from the first video pot will receive an ultra savvy 13" MacBook. In addition to fans supporting Etana's new videos and music, the prize incentive also played a major role in attracting voters. "This competition was one of Irish and Chin's unique vehicles of marketing Etana's Music," says Etana's manager Garfield "Chin" Bourne. "I am overjoyed by the response to the competition." The results of the video competition will be hush hush until the live finale. Not even Etana will know of the winning video until it's announced on air -- that way one can catch her genuine, candid response. "Although each of the videos is a #1 video to me, I am extremely anxious to see which one my fans chose as their favorite," says Etana. Everyone who voted should keep their phones on between 5-7 PM on February 27, in case they are a lucky winner. If Etana calls a number and does not get an answer, she will move on and select another number. Viewers will be able to express their excitement live on air.